I don’t think it’s any surprise that my families favorite holiday is Christmas. If it were up to me, we’d have our tree up and lights hung the day after Halloween. Instead I refrain a few days, and put it up mid November. 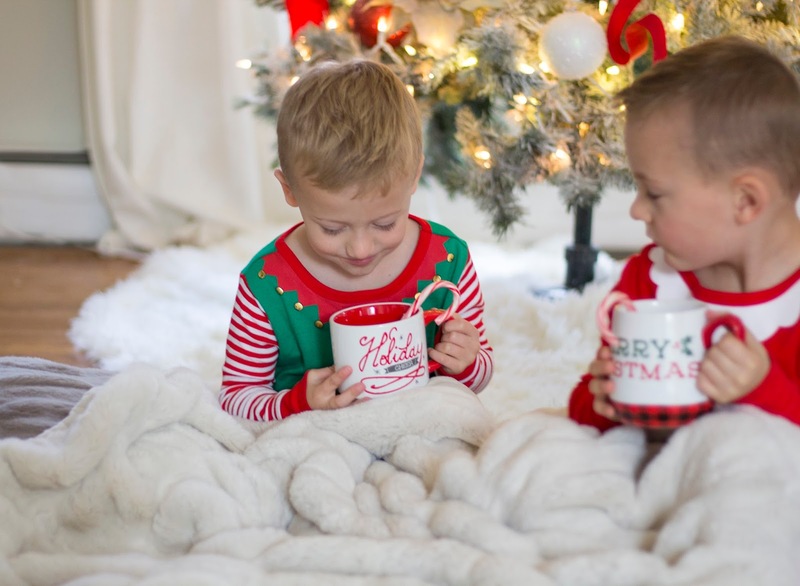 This year however I decided to take everything out early, because Pottery Barns faux fur line has me all sorts of giddy for the Holidays. 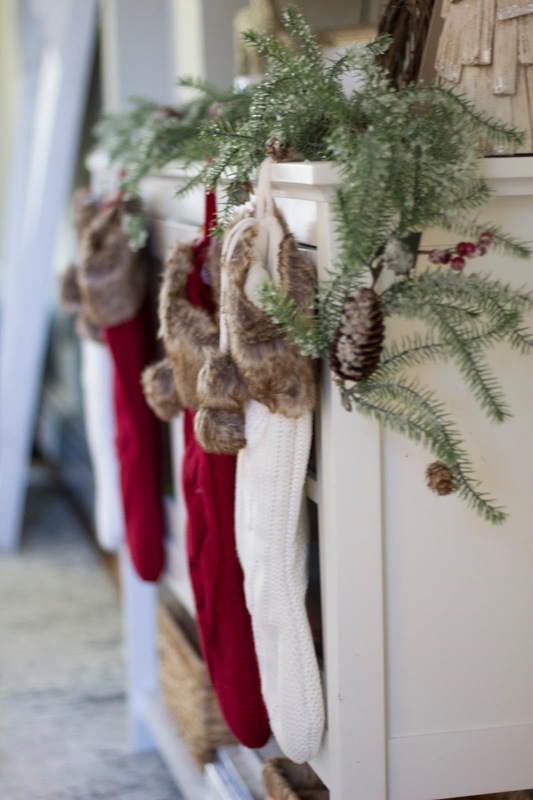 Not to discredit Thanksgiving, but to me there is no better way to be thankful for my loved ones; than a house full of holiday spirit and something that reminds me every day the true meaning of the season. This past week Beckham had a bad accident, and had to get 5 staples to the back of his head. Ever since then, I’ve been following him around the house like a crazy person making sure he doesn’t lose his balance and fall again. His doctor said he’d be fine to go back to school, but because I’m a safety freak and somewhat paranoid; I decided to keep him home. 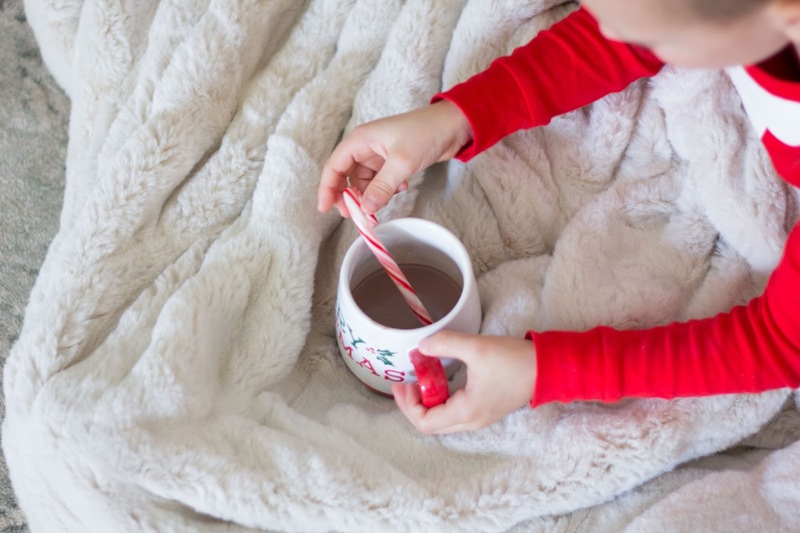 It actually worked out great because we stayed in and watched Christmas movies, listened to our favorite holiday songs, put up Christmas decorations, and drank “Polar Express” hot cocoa. 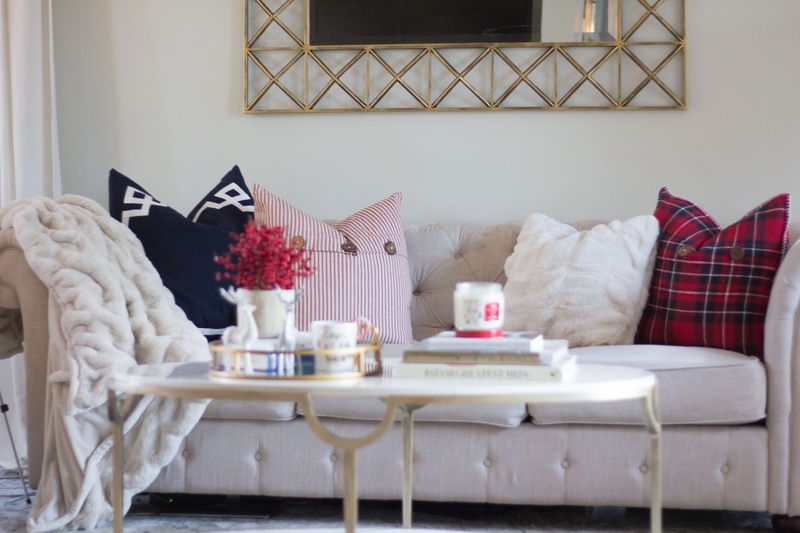 We snuggled up in these insanely soft and comfy faux fur blankets and pillows from Pottery Barn. 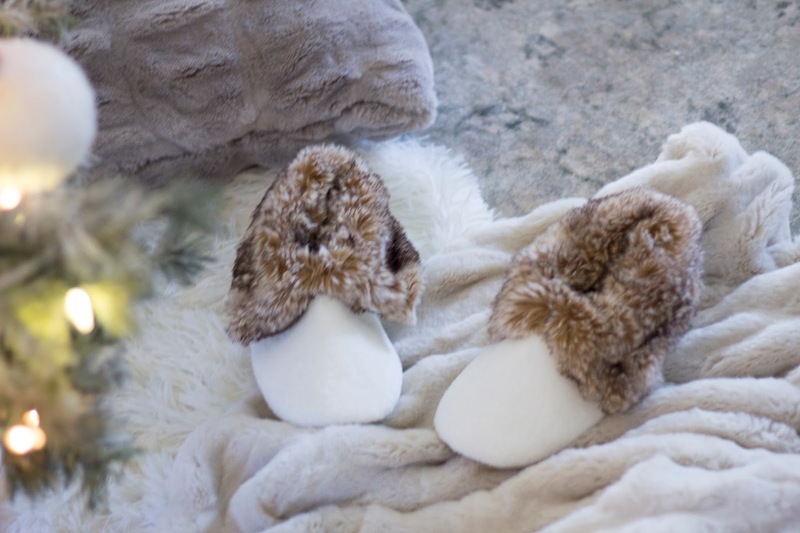 You guys, they are so soft and perfect for making our home cozy for the colder months. 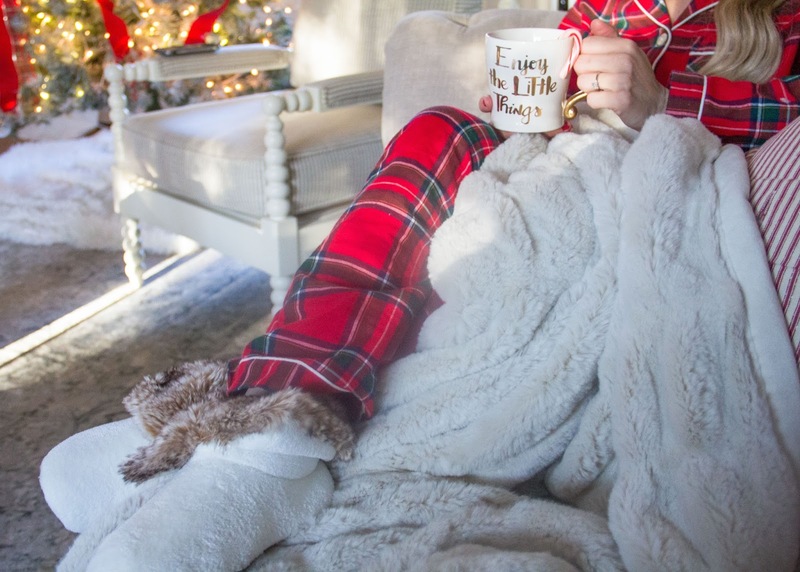 What do you do to make your home cozy for the holidays? Also, any fellow early holiday decorators out there? Or do you wait until the day after Thanksgiving? Im always curious to know. Hope you all had a fab week! 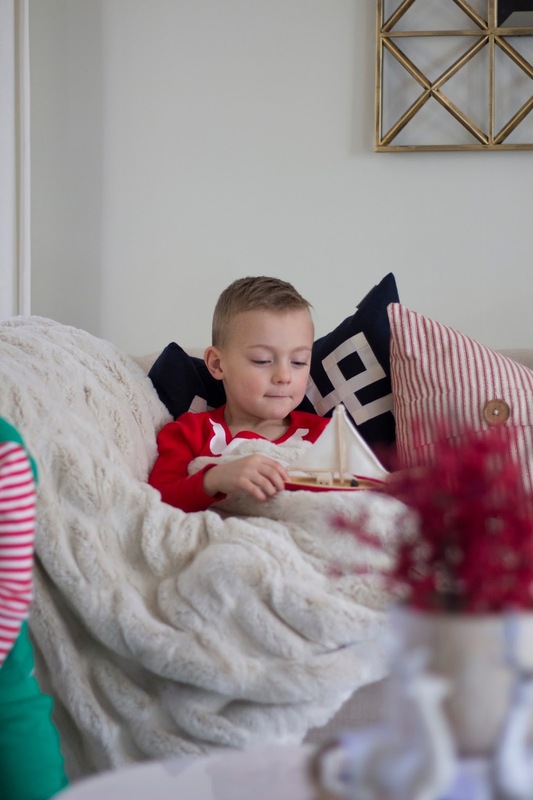 Thank you Pottery Barn for sponsoring todays post. As always, all opinions are my own. I am so sorry to hear about your little boy! It must be been so hard to deal with that as a mommy! 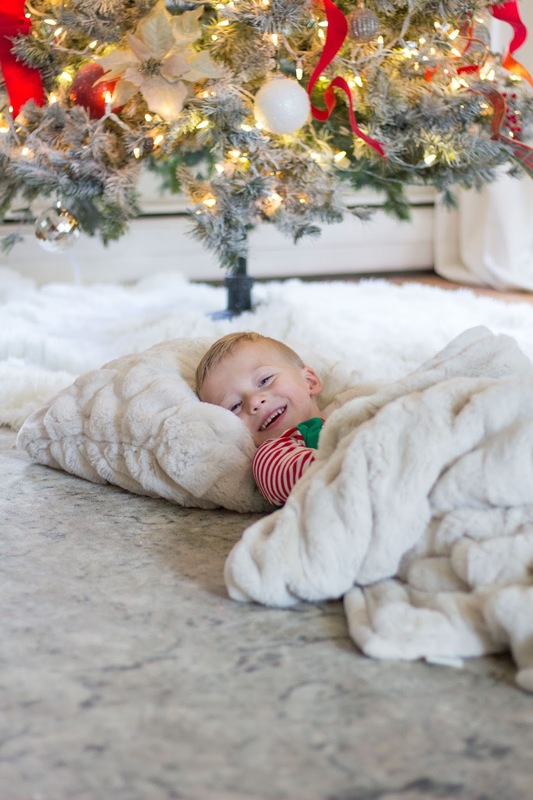 I hope he is feeling better and the set up at your home is just beautiful! Sending get well vibes!